Our lab is outfitted with many state-of-the-art pieces of laboratory equipment that allow us to carry out many different types of investigations into human motor behaviour. TMS allows us to determine the level of activity in the brain and nervous system, as well as to modulate that activity. 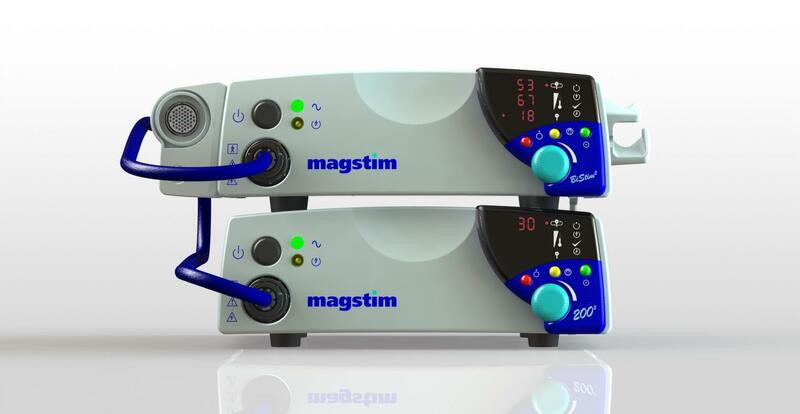 We have the capability to perform various single, paired, and repetitive pulse experiments using the latest TMS equipment: We have two Magstim 200 single-pulse TMS units (left) as well as a BiStim module to enable: a) the investigation of motor cortical excitiability using single pulse TMS; b) experiments investigating the role of various brain structures through the use of high intensity single-pulse TMS that creates a temporary inactivation of targetd brain areas; and c) the investigation of intra-cortica (and inter-cortical) excitability through the use of various paired-pulse TMS protocols. 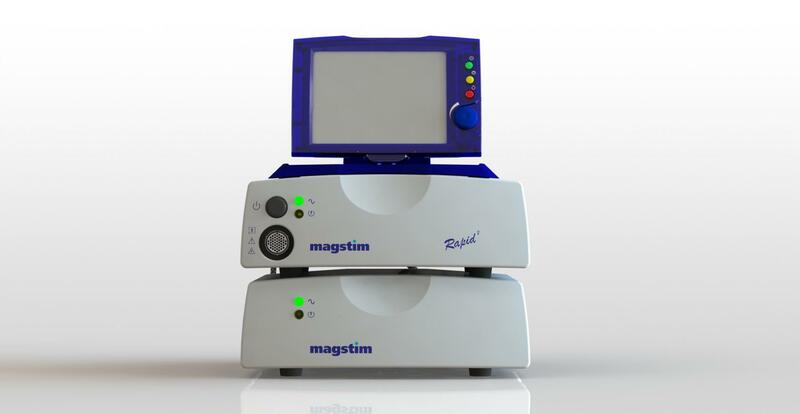 In addition we have a Magstim Super Rapid 2 (right) repetitive TMS (rTMS) unit. This allows for TMS techniques that result in a neuromodulatory effect or induced plasticity: Low frequency rTMS (e.g., 1 Hz) can be applied to lower activity in a malfunctioning structure, whereas more exotic protocols such as intermittent theta burst stimulation (iTBS), or continuous theta burst stimulation (cTBS) can be used to induce plasticity. To compliment the TMS systems, we have a Visor2 neuronavigation system by ANT neuro. 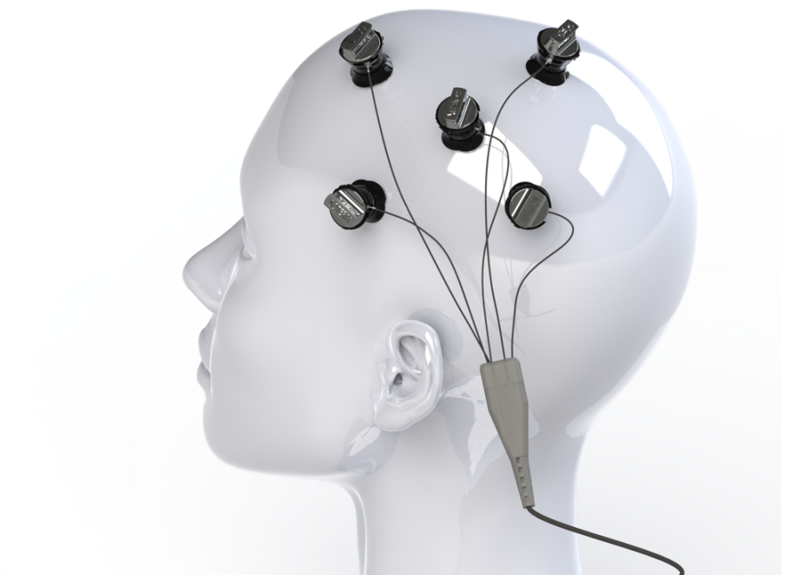 The neuroavigation system allows you to accurately position a TMS coil effectively over preselected brain regions by co-locating the TMS coil and the head in 3D space. Using 3D MRI images, you are able to see the depth, location, and shape of the magnetic field in relation to the subject`s brain in real-time. In addition we have the capability to perform motor-mapping using 2 channels of EMG. 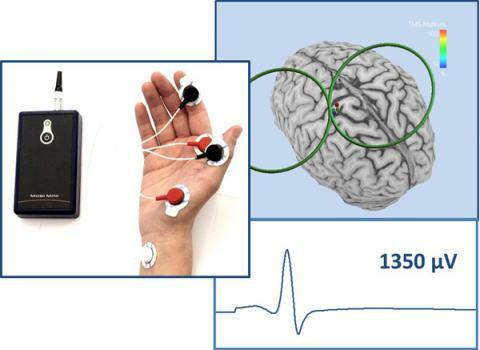 Many of our studies utilize electrophysiological techniques to measure activity in the human motor system, but also to stimulation the brain and nervous system. 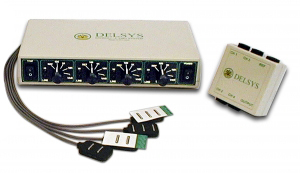 We use electromyography (EMG) from Delsys to measure muscle activation patterns, including muscle onset times, muscle activity size (amplitude), and frequency components. This allows us to characterize both normal and disordered muscle patterns and to investigate effects of fatigue on muscle output. We can use also use low-density electroencephalography (EEG), which uses scalp mounted electrodes, to look at activity produced by the brain prior to or during movement. This way we can characterize certain patterns of brain activation associated with certain movement outcomes. Some of the applications include investigations into the motor readiness potential (MRP) as well as the lateralized readiness potential (LRP). These techniques give us a window into the activity in the brain underling certain classes of actions. 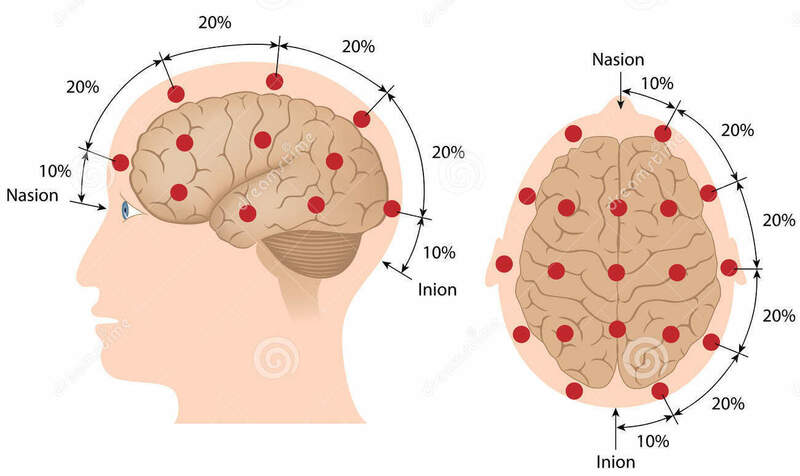 We utilize varying electo-neural stimulation techniques including Transcranial Direct Current Stimulation (tDCS) and HD-tDCS which allows us to change the excitability, or resting activity, in different brain regions. This is important in addressing questions regarding how this activity contributes to movements. For example, we have shown that reaction time can be sped up using tDCS - something that could prove important for the treatment of some motor disorders. Finally we have equipment to perform a varied set of other electrophysiological stimulation techniques including peripheral nerve stimulation, H-reflex, as well as 1x1 tDCS. This equipment includes a Grass stimulator and associated stimulus isolation units to protect subjects, and intophoeresis constant current delivery units. 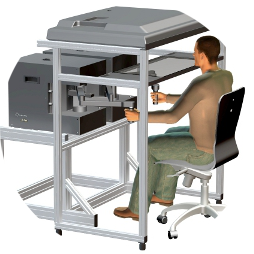 We also have the capability to produce a variety of Visual, Acoustic, and Tactile stimuli, which we use to test reactions, induce startle responses, and create illusions. Specialized equipment is necessary in order to characterize movement outcomes in terms of speed, amplitude, and force. 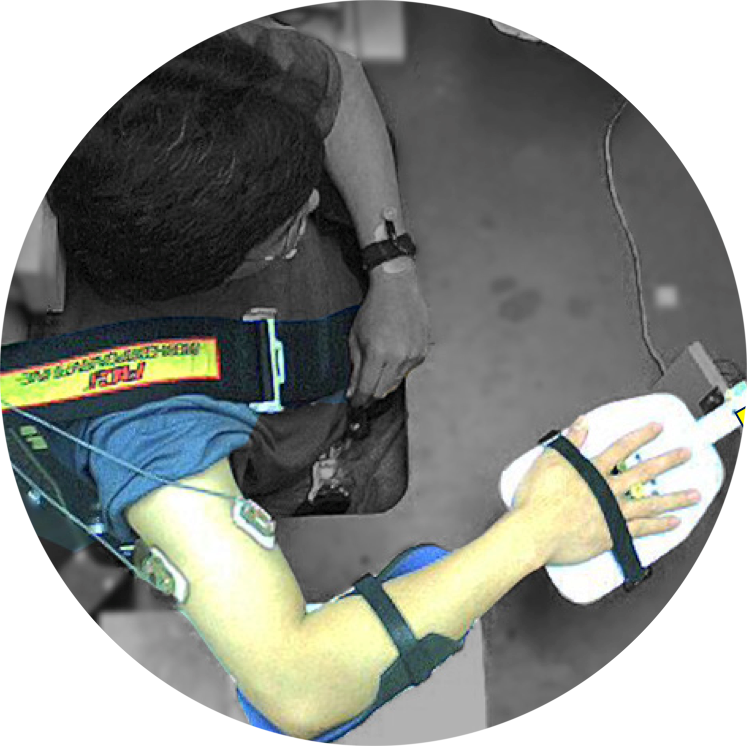 We use several methods in order to characterize human actions these include the use of passive "manipulandums" which are simple devices used to measure limb angles. 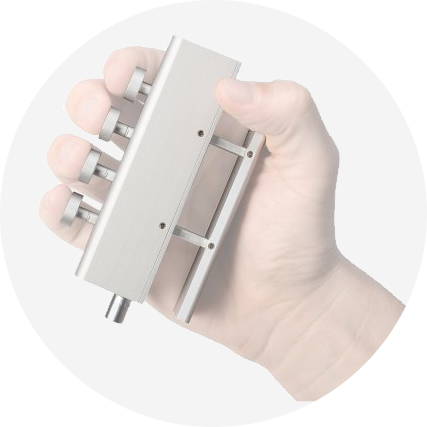 We also use force transducers measure forces produced (such as during a pinch grip), and and accelerometers to measure movement onsets and speeds. 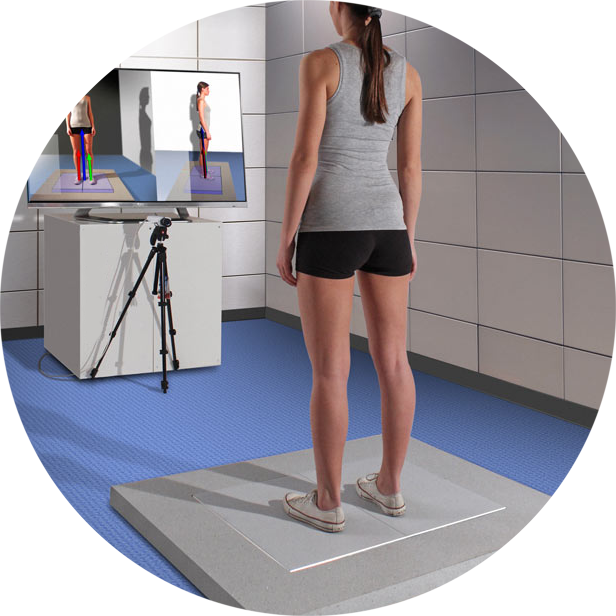 Force platforms are used to measure stability during quiet standing as well as to characterize stepping behaviour. Finally, we employ a robotic, force-feedback system than can both measure movement in real-time as well as produce perturbations and induce illusory false feedback.